Exercise & Sport Nutrition Laboratory | Dedicated to evaluating the interaction between exercise and nutrition on health, disease, and human performance. The Exercise & Sport Nutrition Laboratory in the Department of Health and Kinesiology (HLKN) in the College of Education and Human Development at Texas A&M University is dedicated to evaluating the interaction between exercise and nutrition on health, disease, and human performance. Moreover, to help disseminate research findings to the scientific and lay communities through research presentations, publications, media interviews, and individual and group counseling. Researchers in the ESNL began research investigating the safety and efficacy of the Curves fitness and weight loss program in the spring of 2003 which continued until 2015. ESNL researchers have published numerous studies and are still working on publishing work from this data base. This research has literally strengthene millions of women at over 10,000 sites in 78 countries worldwide. The ESNL had an unrestricted grant with Nutrabolt from 2012 – 2017 to study the safety and efficacy of existing supplements and novel nutrients. This work resulted in a number of publications and presentations on nutritional supplements and finished products. The focus was on exercise performance, training adaptations, weight loss, and performance, including the role of pre-workout supplements on performance. In addition to original research, the ESNL has been on the forefront of translating the latest science into lay articles, position stands, and books that practitioners can used to improve performance. 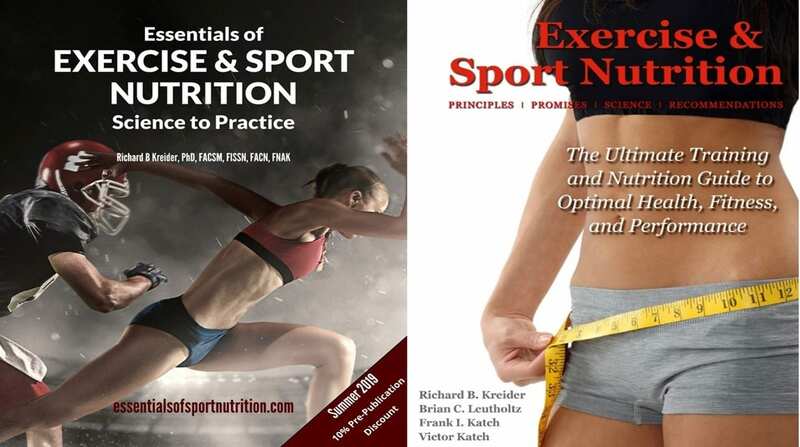 This includes Exercise & Sport Nutrition: Principles, Promises, Science, and Recommendations (2009) and the new Essentials of Exercise & Sport Nutrition: Science to Practice (available summer 2019). Dr. Kreider is a proud co-founder of the International Society of Sports Nutrition and founding Editor and current Co-Editor-In-Chief of the BioMed Central – Journal of the International Society of Sports Nutrition (Impact factor 3.135). The ESNL has played a critical role in contributing original research, development of the Exercise & Sport Nutrition Reviews, and leading efforts in development of ISSN position stands. NOW OPEN! This new, state-of-the-art research facility serves as the new home to the Exercise & Sport Nutrition Lab and Center for Translational Research in Aging & Longevity as well as a core shared facility for conducting human clinical research at Texas A&M University. For more information, see the HCRF website, take a video tour, or read the HCRF brochure. The key to conducting health-related research that makes an impact is translating research findings from the lab to the general public. The Exercise and Sport Nutrition Laboratory is located in Building Two of Research Park at Texas A&M University. The Exercise & Sport Nutrition Lab is one of the most active research units of its kind. We typically publish 8 – 12 articles and make more than 25 national or international presentations per year at leading conferences. Stay informed about the latest research being conducted in the Exercise & Sport Nutrition Lab by clicking on the link below. Researchers in the Exercise & Sport Nutrition Laboratory (ESNL) at Texas A&M University often recruit men and women from the public to participate in a study. Stay tunes here to get involved!